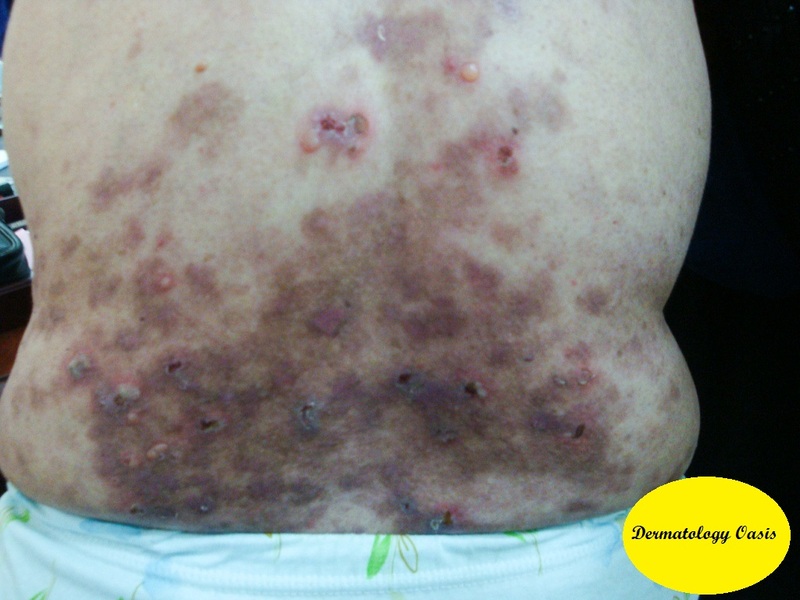 A 63-year-old woman presented with painful erosions, flaccid blisters and some residual hyperpigmentation of many months duration. The rash involved mainly the trunk and proximal parts of the extremities with minimal oral involvement. Skin biopsy of newly formed blister showed supra-basal intraepidermal blister with mixed inflammatory infiltrate.